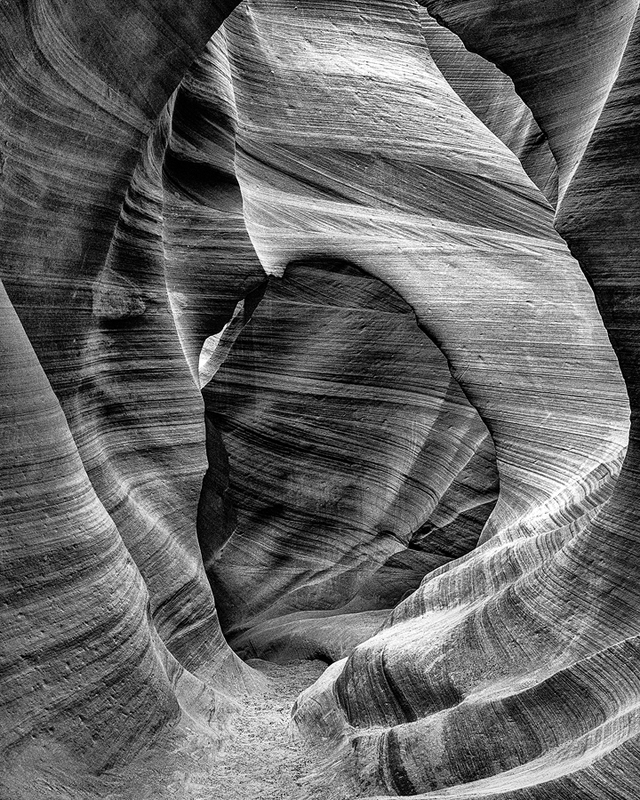 While I love the colors of Antelope Canyon, I truly connect with black and white images from this area. Black and white strips an image to its core. It clarifies and simplifies.